Jessica started riding at just three years old, when her mother used to take her to ride her horses. Jessica found Lusso Del Castegno, a 13 year old warmblood stallion, about a year ago when he changed disciplines from show jumping to dressage. 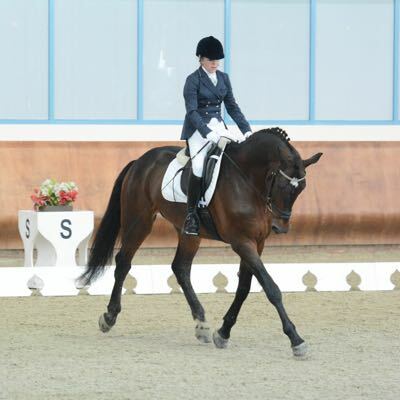 Jessica likes how simple and easy Dressage Anywhere is to use, to be able to compete all year round and get such good feedback from lots of amazing judges. Jessica and Lusso Del Castegno are also part of the Qatar Fryslan Dressage Team who went on to win our 2018 Team Challenge!